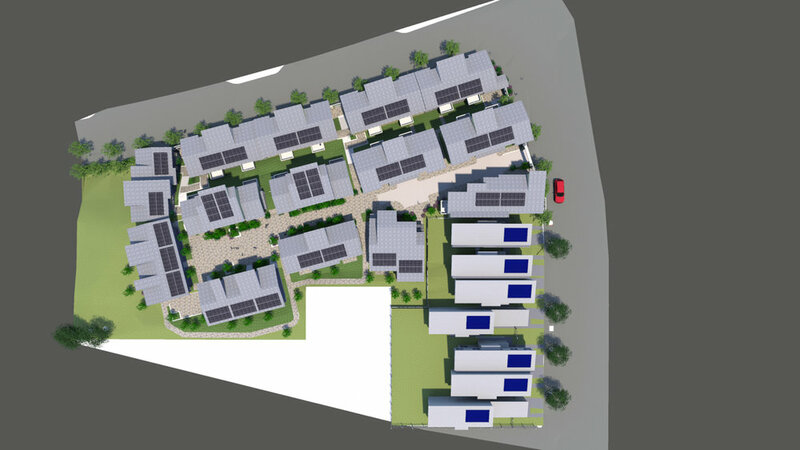 Located on a one acre steeply sloping vacant site at the intersection of Whitney Young Circle and Hudson Avenue in San Francisco’s Bayview District, thirty townhomes with duplex or triplex buildings are proposed for families with incomes up to 80% of San Francisco's area medium income. Shared parking garages and walkways serve the pedestrian-friendly development. 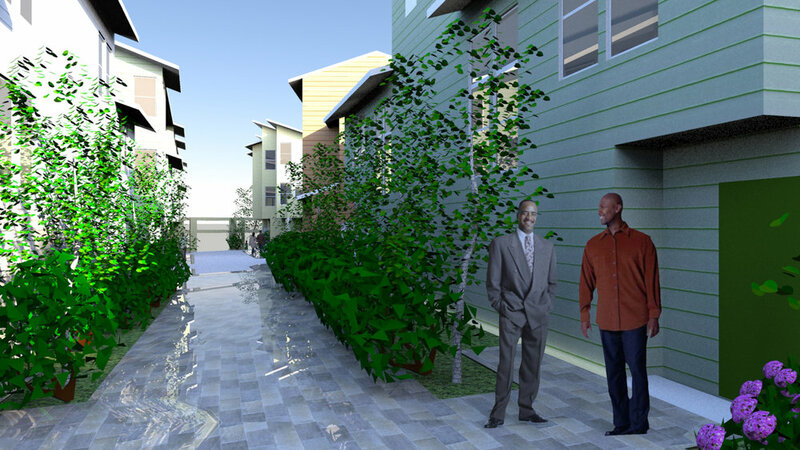 Given the steep terrain of the site, the buildings will be stepped and terraced to take advantage of views. Twenty percent of the homes will have two bedrooms and one and one half baths, with a living area of 960 square feet. Sixty percent of the homes will have three bedrooms and two baths, with a living area between 1200 and 1400 square feet. Twenty pecent of the homes will have four bedrooms and two baths, with a living area between 1300 to 1500 square feet. All will be solar powered.